Change the face of the world with Big Data. At KPMG we combine deep business experience with cutting-edge data and analytics capabilities to provide our clients with new ground-breaking insights and help our clients become future-proof data driven companies. A dozen experienced data scientists tackle our clients’ most analytically demanding problems and research new technologies that will change face of the world. Are you curious about joining? We are recruiting! Our small but growing team of technology and analytics enthusiasts go beyond merely applying algorithms on large data sets. We are pragmatic in our approach, where we use any platform, tool, or method that fits the case, and in fact build our own. We perform Big Data analyses for clients and we develop our own Big Data related tools and products, such as our own Hadoop distribution and a revolutionary Open-Source platform for distribution of analytics and data. We are, and have every intention to remain, global leaders in our field. You will be joining our team on the level of KPMG Senior Consultant. You will gain broad experience and grow into the role of Big Data Solution Architect and help build Data Lake / Big Data solutions for the biggest and most complex international organizations. As an addition to our team you are a technology and innovation driven personality who is keen to work with new technologies and platforms and take them to the next level in Data Science. You will work with an diverse and global team of highly skilled people. You will alternate between working for clients and creating our own products. You are an expert/guru but can behave as a consultant. You have an academic background in Computer Science, Software Development or a comparable study. You have experience with Hadoop, Spark, Storm and/or Grid computing. You have strong OO and programming skills are experienced with Java, C++, Scala, Python or languages. We greatly value existing affinity with: Data Science, Machine Learning, Cloud Computing, Networking, Security, Encryption, RESTful interfaces and DevOps. You flourish working with like-minded people, yet you can function autonomously. You are excited about new technology and innovation. You like to learn outside of your core activities in order to broaden your field of expertise. Great quality in your work and thinking ahead come natural to you while you stay pragmatic. You are willing to work on client location and travel abroad. 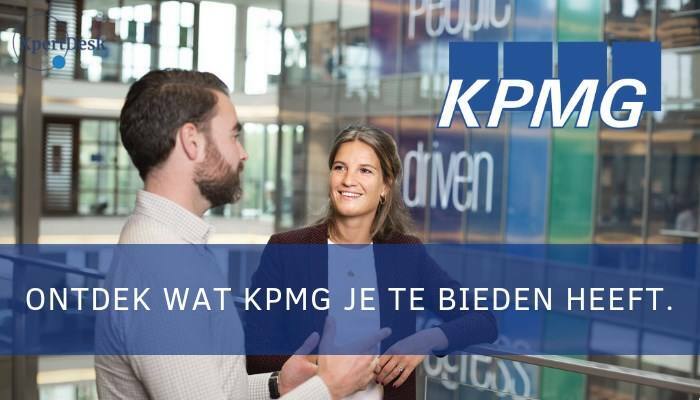 Please send your application for Senior Engineer Big Data Technology at KPMG in Amstelveen including your CV via our website.